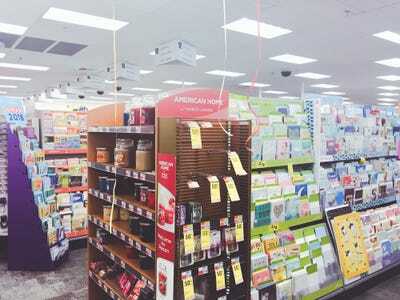 Business Insider/Jessica TylerThe CVS store we visited in Westchester, New York, felt disorganized. Walgreens and CVS are drugstore chains that sell everything from groceries to greeting cards. Both stores have pharmacies that offer services like flu shots. Walgreens and CVS offer similar rewards programs that can earn shoppers major discounts. 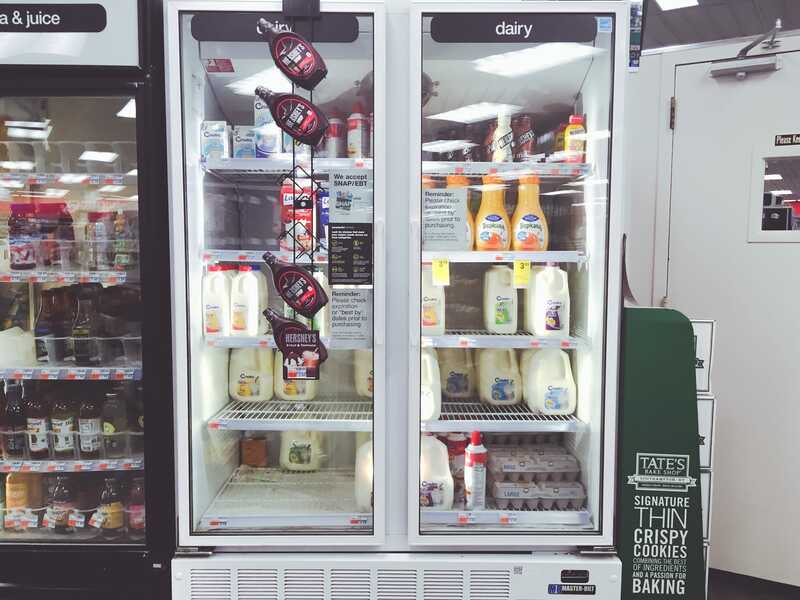 When we visited neighbouring locations of both stores in Westchester, New York, we found that the atmospheres were drastically different. Walgreens was bright and clean, while CVS was a mess. No matter where you go, it seems there’s always a Walgreens or a CVS just around the corner. 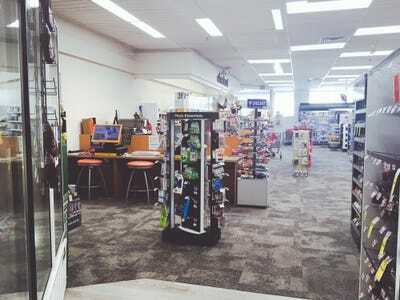 The two drugstores carry everything from groceries and cosmetics to household supplies and greeting cards. 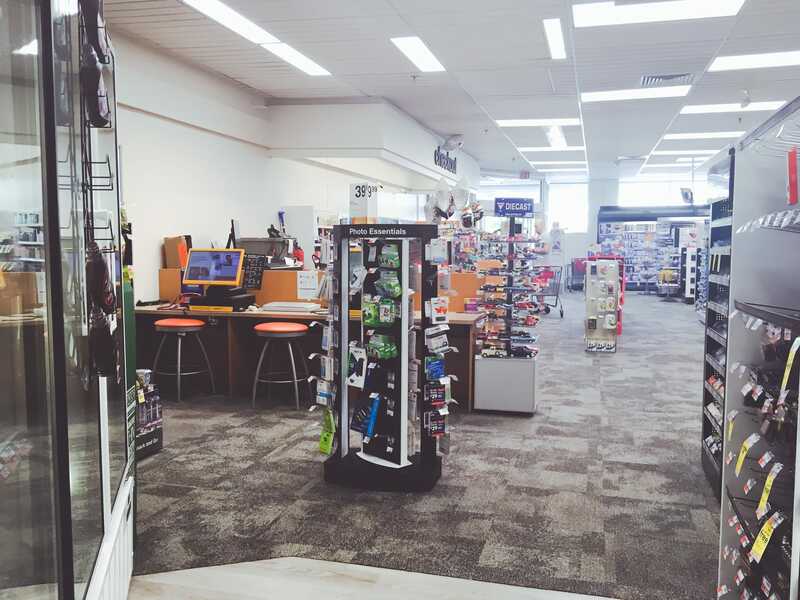 Both stores have pharmacies that offer services like flu shots, and both have rewards cards that offer serious savings. 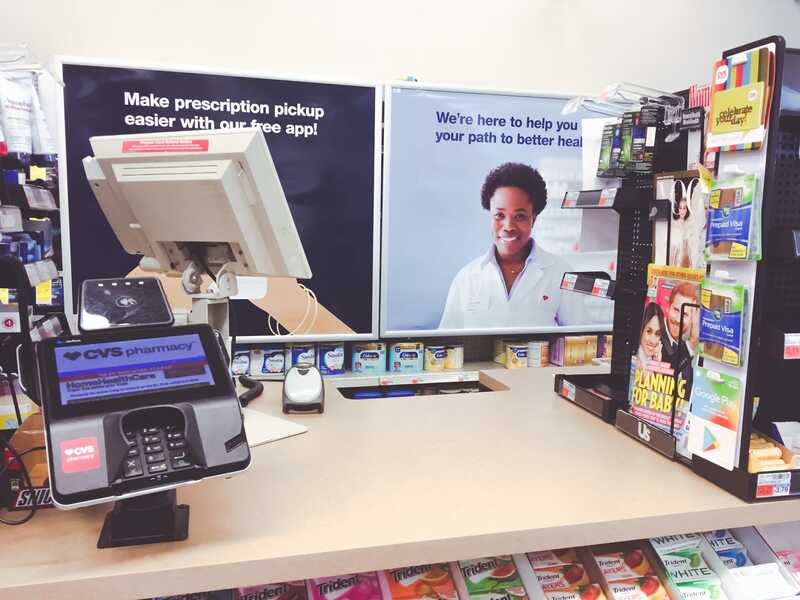 The CVS ExtraCare program offers shoppers perks like members-only pricing and 2% back in ExtraBucks Rewards points, which add up to additional perks and discounts, each time you shop. 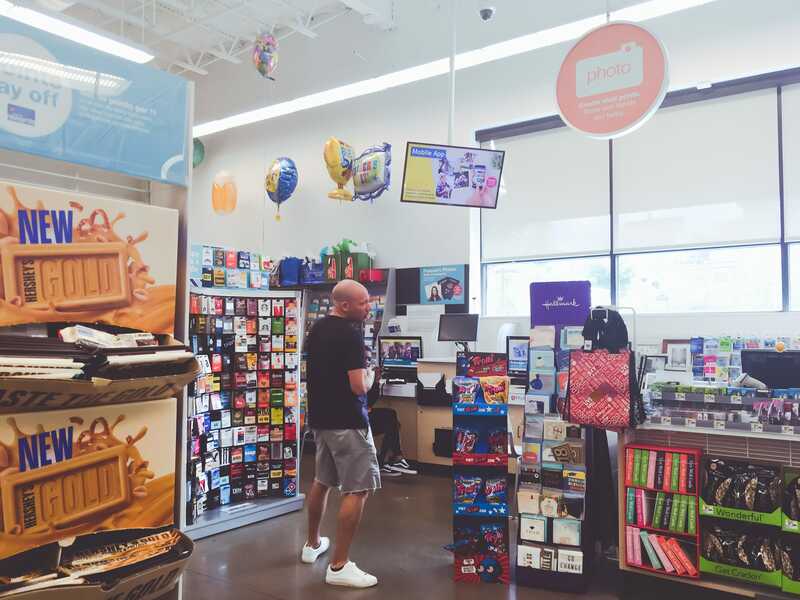 Walgreens’Balance Rewards program allows shoppers to earn points for every dollar spent, which can add up to discounts on future purchases. 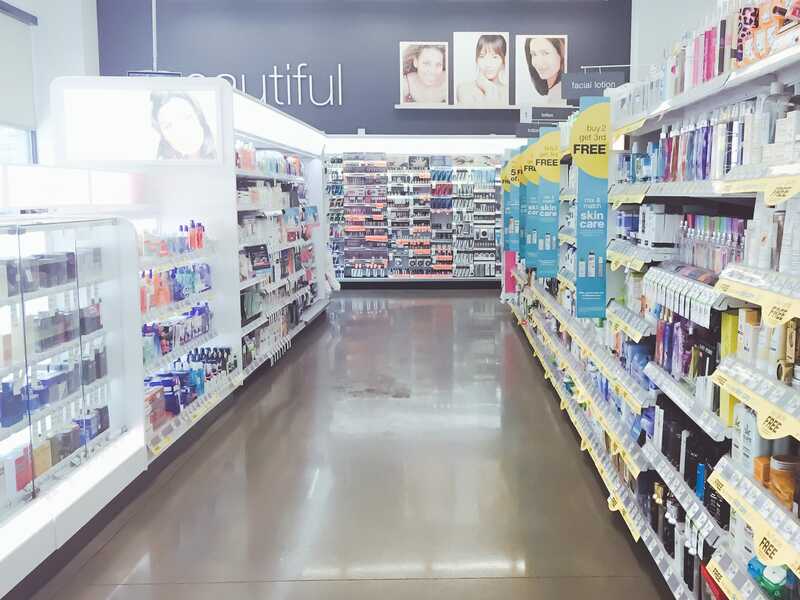 At both stores, almost every product has a rewards-member-only lower price. 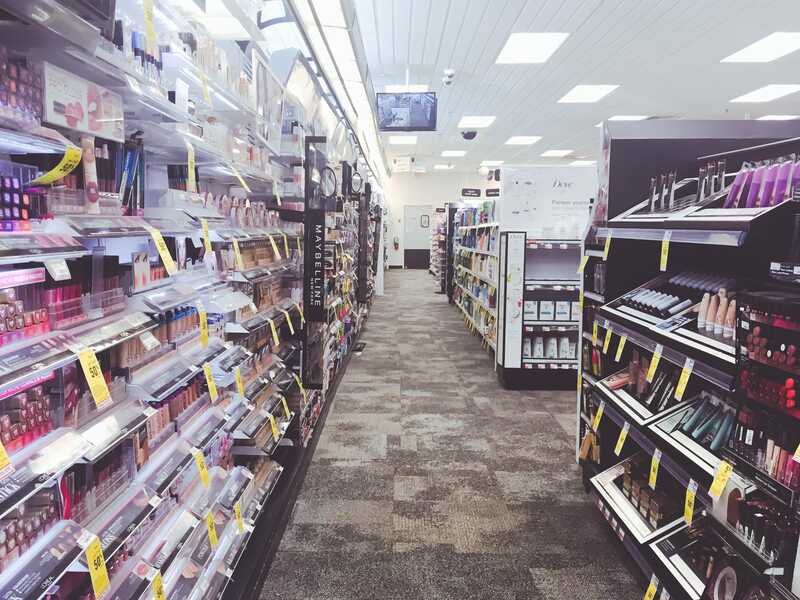 Both Walgreens and CVS operate between 8,000 and 10,000 stores in the United States. But the two stores’ atmospheres couldn’t be more different. 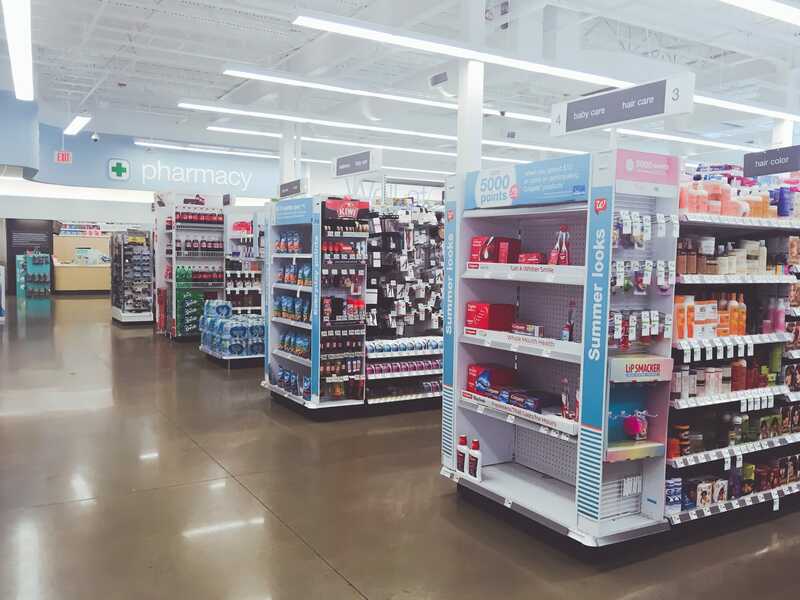 When we visited a Walgreens store in Westchester, New York, it was bright, clean, and well-organised. Upbeat music was playing, and there were plenty of people shopping around. When we visited a CVS store just five minutes away, it was dark and messy. 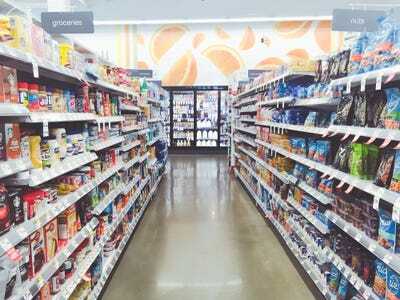 There were dark grey carpeted floors, empty soda cans, old shopping lists, and no shortage of empty shelves. 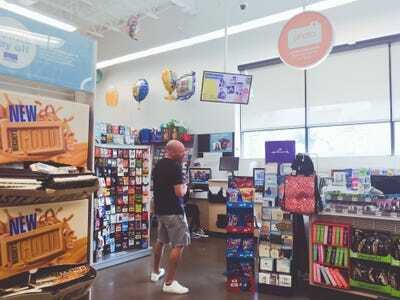 Security TVs loomed over every aisle, and it was eerily quiet. 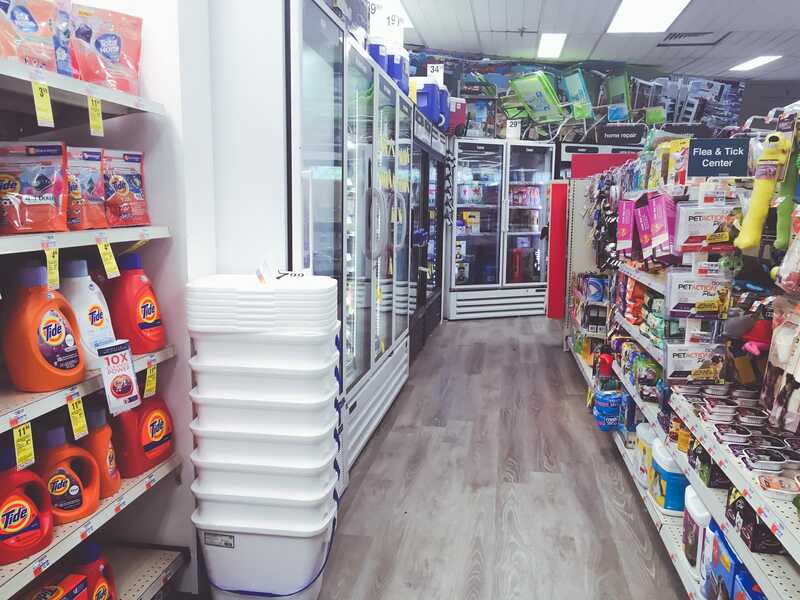 As drastic as the differences in environment are, the two stores are performing similarly. Same-store sales were up 2.4% at Walgreens in the second quarter, while at CVS, which is in the midst of a merger with Aetna, same-store sales were up 1.6% in the first quarter. 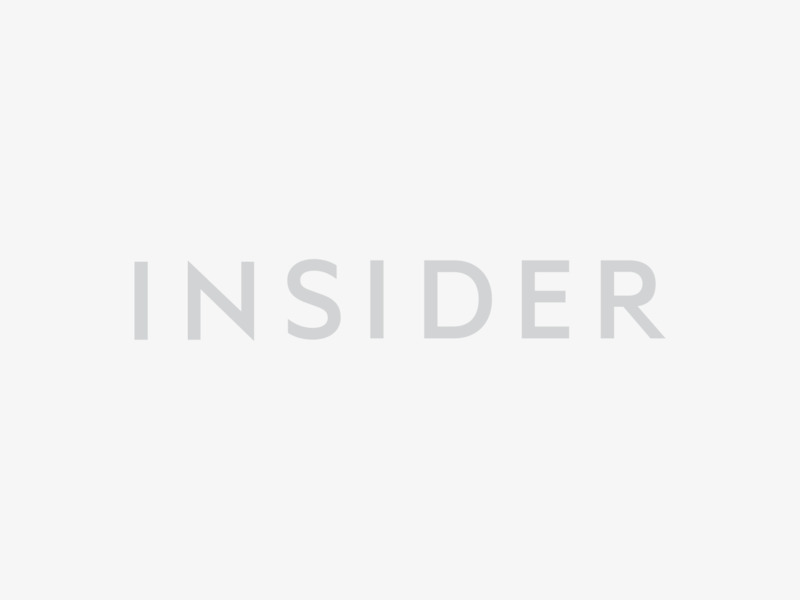 Here’s what it was like shopping at each store. 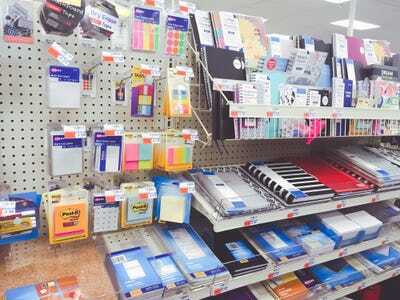 First, I visited a CVS in Westchester, New York. 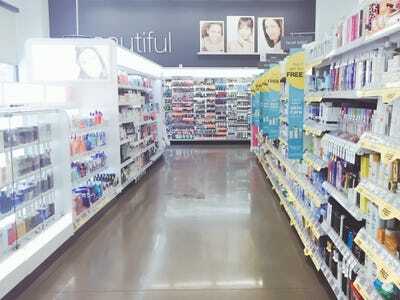 The first part of the store I saw was the cosmetics section. It carried all the traditional drugstore makeup brands, including Maybelline, L’Oreal, and CoverGirl. 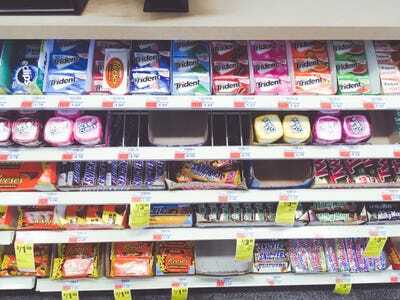 Prices typically ranged from $US8 to $US20 for a product. Almost everything had a bright yellow tag advertising an ExtraCare cardholder deal, like this “buy one get one half off” promotion. However, a lot of the shelves were empty or seemed to be falling apart. As I walked farther back, I found the hair accessories, but the section was a mess. There was an empty soda can that had just been left behind, and a lot of the hairbands were tangled. There seemed to be as many products on the bottom of the display as there were hanging up. There were a few jewellery shelves in the back. 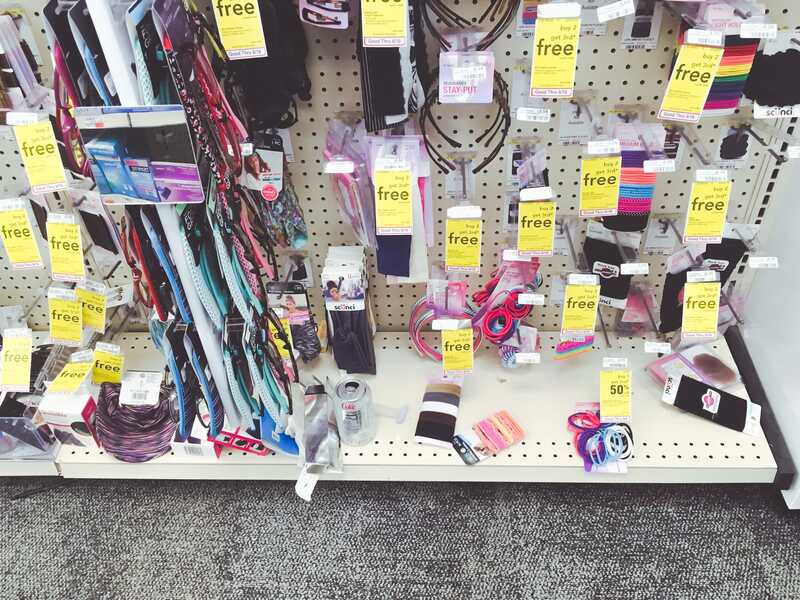 They carried products similar to what you might find at a store like Claire’s for under $US10. 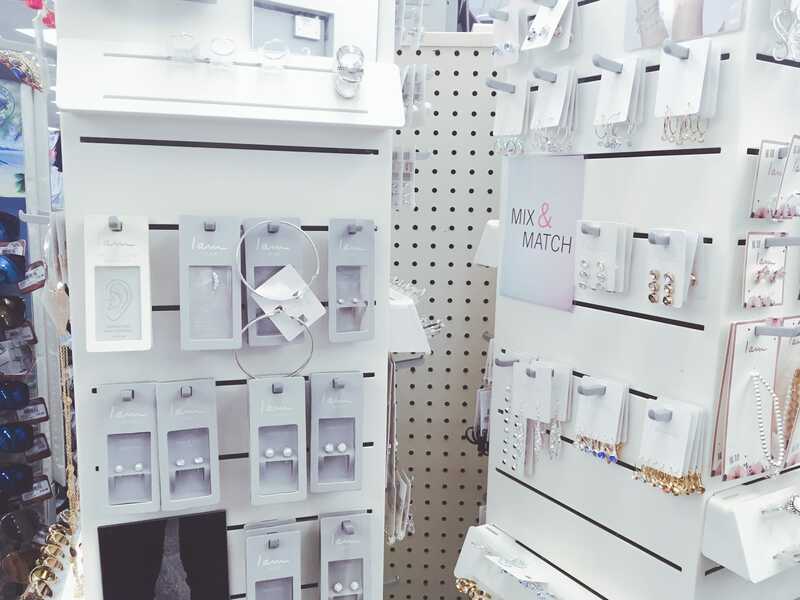 … and a ton of random products situated throughout the store. 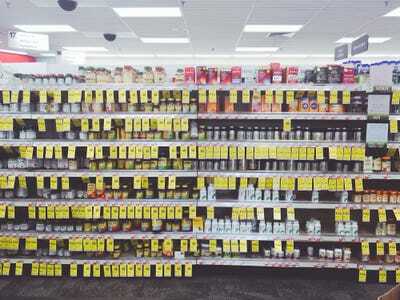 The pharmacy was also in the back of the store, and the aisles leading up to it carried every vitamin, cold medicine, and supplement imaginable. It looked as though every single product carried a deal for members. It was hard to see the regular price because of how many bright yellow tags there were. The pharmacy was also visible from the aisle of groceries. There was no waiting area, and people were wandering around, waiting for a pharmacist to be ready to help them. 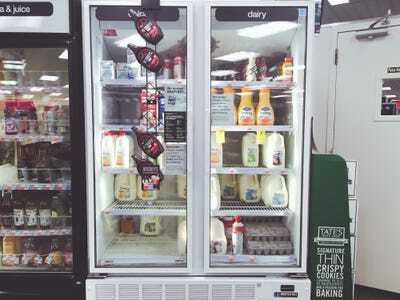 Near the groceries was a refrigerated-foods aisle carrying drinks like milk, orange juice, and soda. 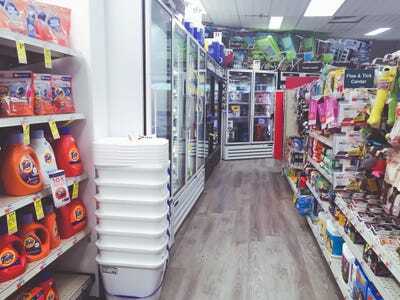 The prices were on par with any other gas station or convenience store — for example, water bottles cost $US1 to $US3. Generally speaking, it felt pretty disorganized. Cleaning supplies, pet food, sodas, and home-repair tools were all squeezed into one corner of the store. Random beach chairs and coolers were stacked on top of the refrigerators. The photo department at the front of the store was silent. By the register were candy and gum packages, most of which cost under $US2. 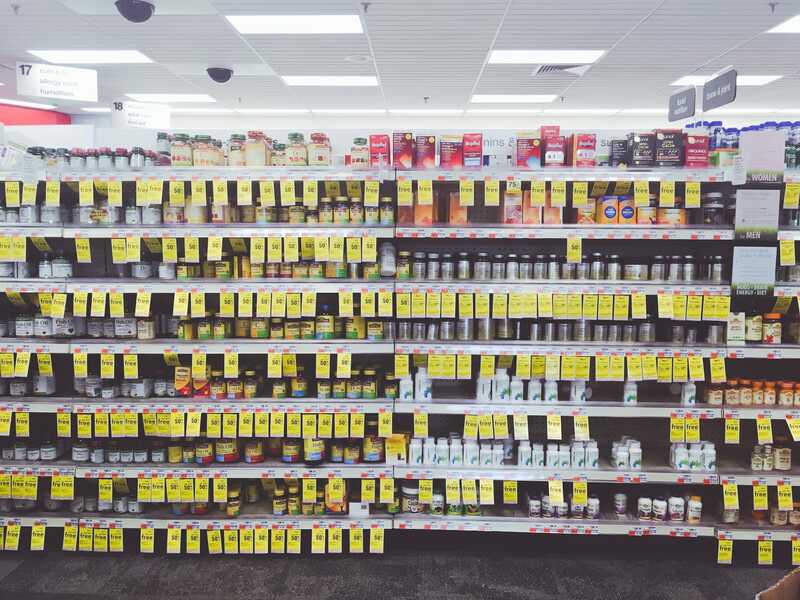 Even here, there were empty shelves. No one was at the register, and there were no employees in sight. Overall, the store was dark, had a lot of empty shelves, and was a mess. 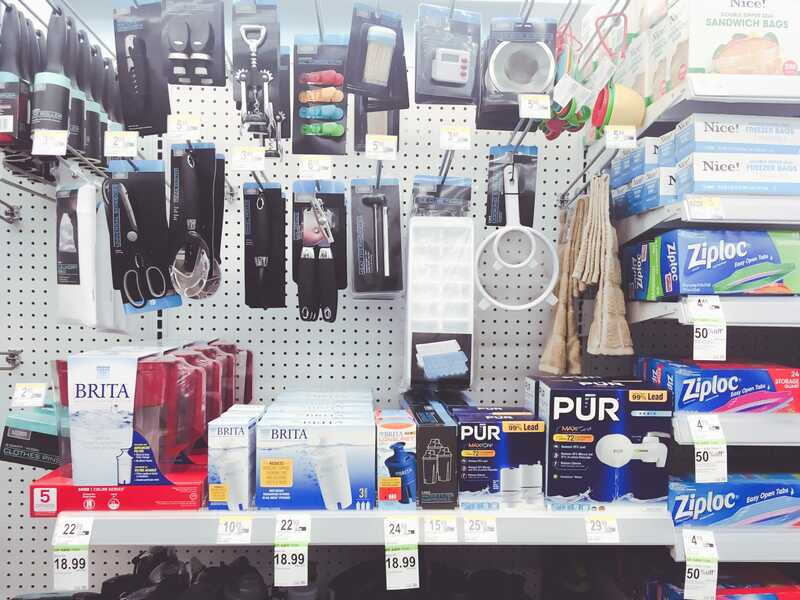 There were a lot of great deals offered to ExtraCare cardholders, but it wasn’t a nice place to shop. Next, I went to Walgreens, five minutes away from the CVS. 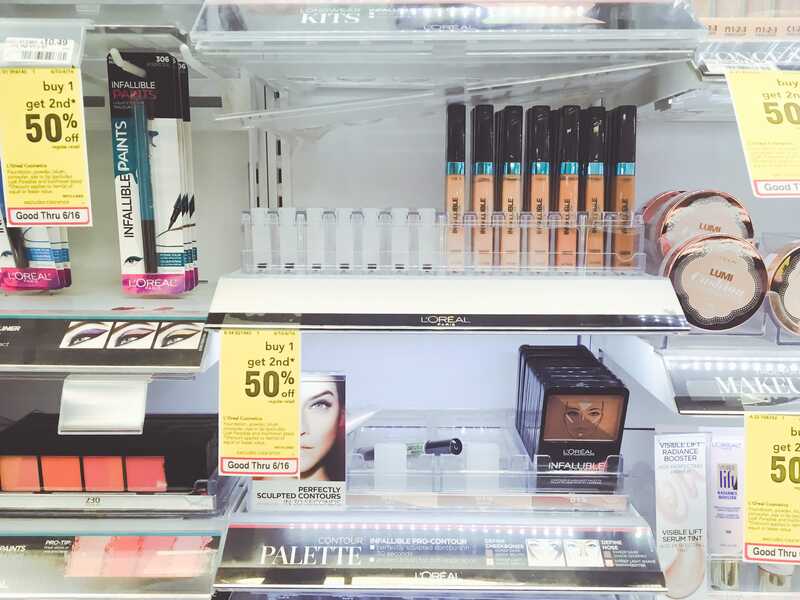 The cosmetics were at the front here too, and the store carried the same brands. The prices were about the same as at CVS. 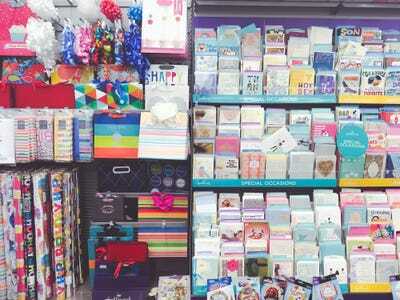 The store was much brighter much more organised. Empty shelves were few and far between, and all prices were clearly labelled. 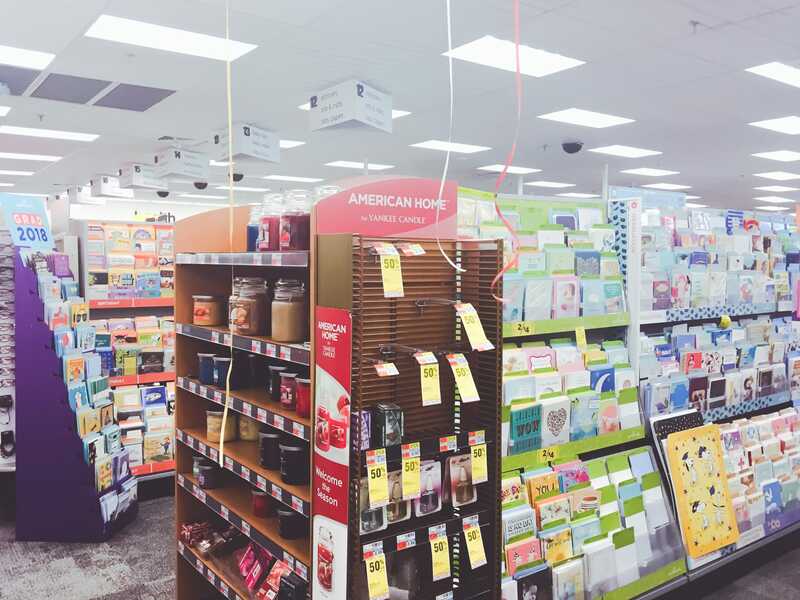 The store felt spacious compared with CVS, though they’re roughly the same size. Everything was more spread out, and instead of grey and red, signage was light blue and white, which made it feel cheery. … and groceries. The grocery selection was nearly identical, but at Walgreens it was a lot less cluttered and easier to see each product. 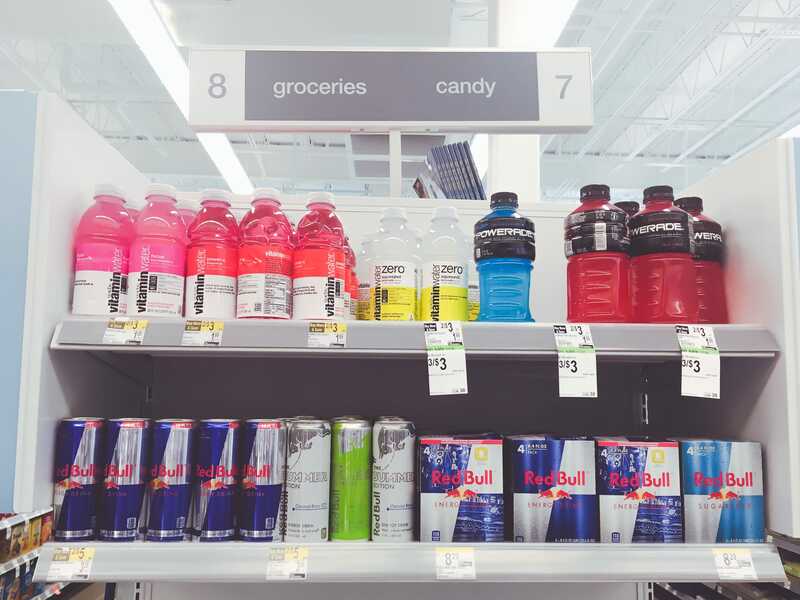 Like CVS, Walgreens sold sodas and other refrigerated drinks. The prices were about the same, but there was a greater variety at Walgreens. The pharmacy was a lot nicer at Walgreens. 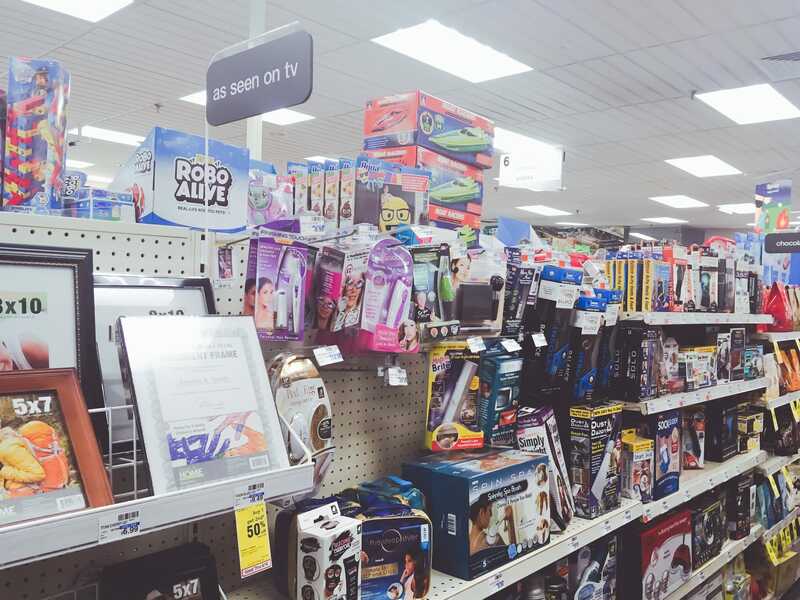 At CVS, it was shoved in the back of the store, hidden behind aisles with no designated waiting area. 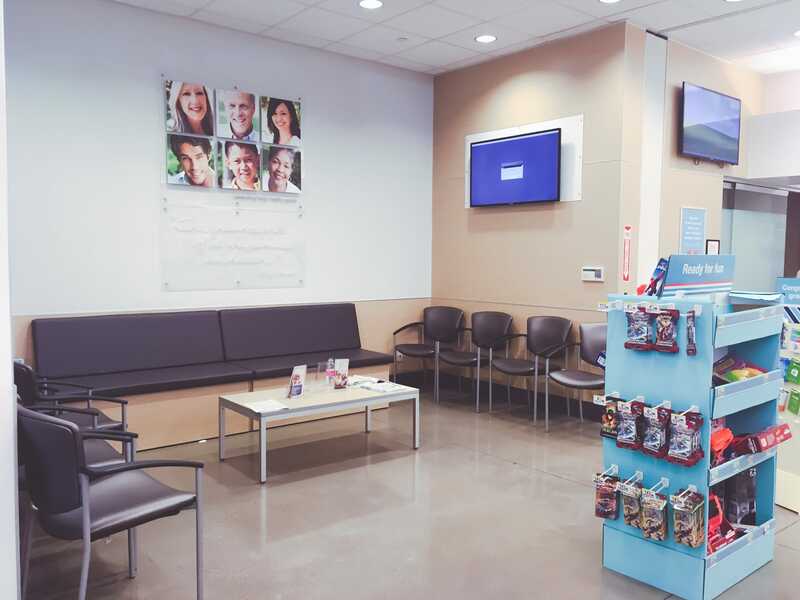 Walgreens’ pharmacy was spacious and easier to find, with a waiting area and a much bigger counter with more staff members working. 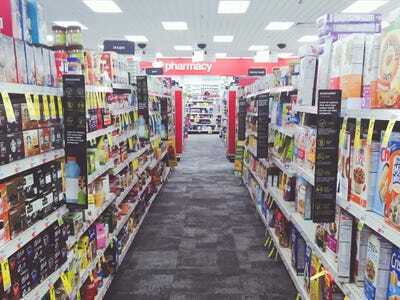 It sold about the same number of supplements and cold medicines as CVS, and the deals for rewards-card holders were about the same. 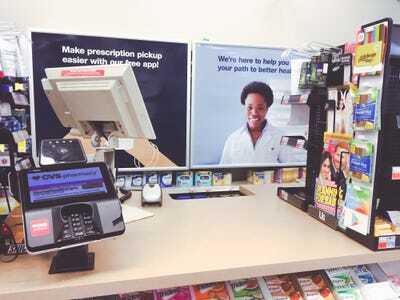 Unlike at CVS, the photo department at Walgreens had a line of people waiting to print photos, and an employee was there, ready to help. There were three people at the registers as opposed to zero at CVS. Walgreens was cleaner, offered more, and was generally a nicer place to shop.